A fishy forecast for the Peaks? 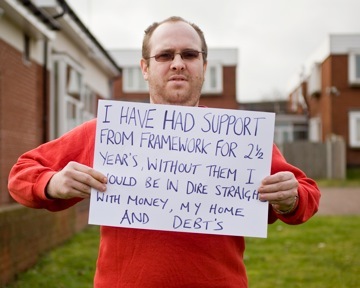 I was recently contacted by Gareth at Webtogs asking if I would be willing to do some gear reviews for them on my blog. Obviously I was flattered but initially a little bit sceptical about the sort of content I would be required to write. A quick chat with Gareth confirmed that the integrity of my blog is paramount and I will be able to write my honest thoughts and opinions about any of the gear that I am sent to test. So although I will usually get to keep the kit that I am sent to test and review, I will be one hundred percent honest in everything that I write. Just look at my write-up of the Tarptent Scarp1 fiasco to see that if I think something is not to my liking I will say so! Anyway my first bit of kit is on the way in the post and is by a manufacturer that is totally new to me. It is designed for cold weather, so I hope the current cold snap holds out so it can be put through its paces! I have to admit that for years I really could not see the point in buying and wearing a windproof jacket. If it is cold, put on another layer. If it is windy, pop on your waterproof jacket. What’s the point in carrying an extra garment? 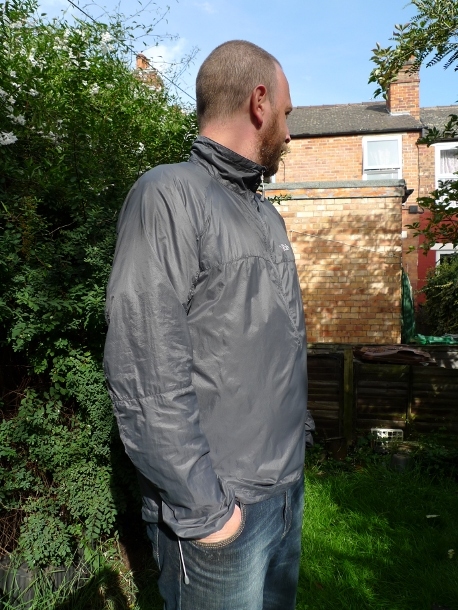 In the spring I brought the very lightweight Rab Demand pull-on Event waterproof for summer use. I was amazed at its breathability and how lightweight it was but I also worried at how durable it would be when worn day in day out under a backpacking sack. 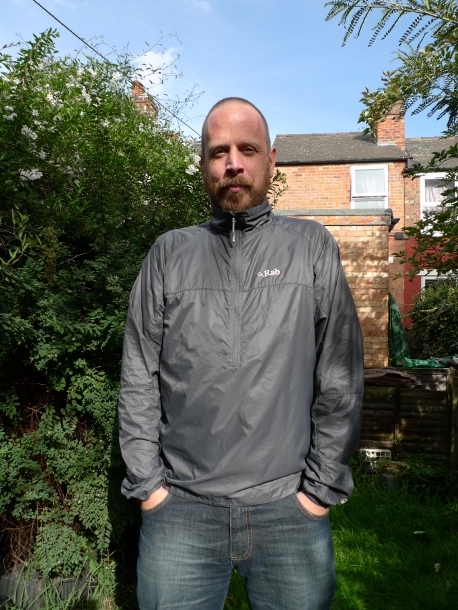 I thought that I would give a lightweight windproof a go, a layer to pull on without having to resort to a full waterproof. It did a bit of research and liked the look of the Cirrus. I have since found myself wearing this jacket on every single trip since I purchased it. This jacket is light, very light. It weighs in at an incredible 76 grammes according to Rab. I have to admit to not having popped it on my scales as simply picking it up confirms to me that it is light. It came with a stuff sack that was so tiny that I lost it inside my tent one night. It will probably be in some pocket somewhere or inside a sock. The pull-on is made from Pertex Quantum which is fully windproof and not too rustly, I’m not too keen on wearing items that resemble crisp packets. It is a nice slim fit with a scooped back to cover up the backside. I don’t like tight clothing so went for the large size, I can therefore fit a couple of base layers on underneath. The sleeves are a simple elasticated affair and long enough that they don’t ride up (or too long that they flap about). 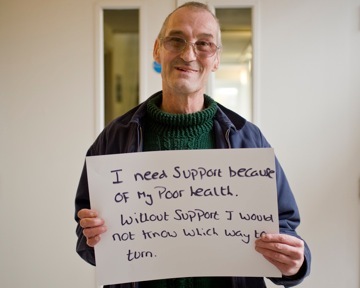 There are no pockets which is no real hardship although I did find that a little odd to start with. I always prefer smocks to full jackets as they somehow feels less bulky. The zip on the Cirrus is nice and long for venting and to make it easier to get on and off. Finally there is an elastic drawcord at the hem and one on the collar, the collar itself being double thickness. So, how has it been on the hill? Its first outing was a day walk in the Galloway hills. It was dry and sunny but with a keen breeze. On the tops it was not quite warm enough to just wear a t-shirt but not cool enough to wear a proper jacket, the Cirrus filled the gap perfectly. It is a fine jacket to wear on those breezy summer days and it wicks the sweat away no problem. I was still wearing it last weekend on high level walks in the Lake District. On a sunny day but with a cold breeze it kept me comfortable with just a couple of baselayers underneath. However on the second day when it got colder and windier the breeze simply whistled through. My Paramo came to the rescue and it was easy enough to simply pull that on over the Cirrus. Sadly the thin fabric is now showing a fair bit of wear and tear on the lower back. Abrasion from my pack has caused the fabric to feel all rough and in one place has worn right through. In fact to be honest the whole jacket is a bit stiffer and ‘crunchier’ than it was when brand new. This may be down to the fact that it gets a wash after every time I wear it which most other jackets do not. I gets bunged in with my smelly outdoor kit after a trip and then dries in minutes. A great bit of kit but if you wear it every time you head for the hills don’t expect it to last forever. 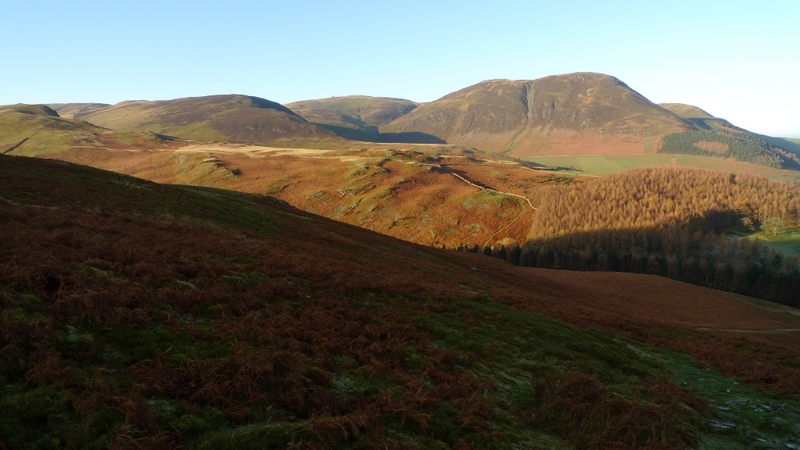 I had a very peaceful night in the Bongo at the top of Newlands Hause. I have to admit to waking at some point during the night completely forgetting where I was. A bit of a panic when I could not move my arms but I soon realised that I was buried deep inside a sleeping bag! I often find this happens on the first night of a trip which probably accounts for the odd looks I get when staying in hostels and bothies! Outside the grass was glistening with a white frost, the air clear and very still, the sky a watery blue colour. My plan was to park up at Maggies bridge where I would cook breakfast before setting off into the hills. The road at the top of the pass was white with frost and I approached the first hairpin bend with a bit of trepidation. I soon realised that the road was shiny with black ice and I progressed down the first couple of hundred metres at about two miles per hour, the heavy van doing the occasional slide sideways. I was very aware of the steep drop to the right and was cursing myself at my stupidity of parking at the top of a steep road when I knew the temperatures would drop below freezing. What has happened to those gritting boxes that used to line country lanes? I would have been more than happy that morning doing the councils job for them. I set off up the lane from the car park at Maggies Bridge to make my way towards the Kirkstile Inn. 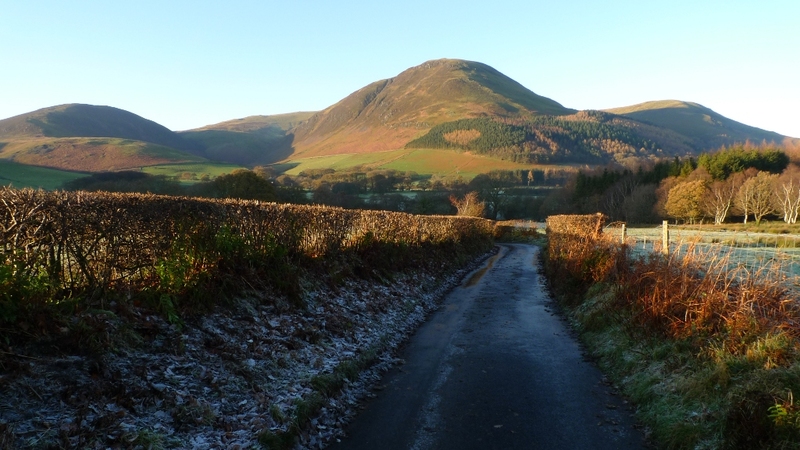 The views back to the Loweswater fells was inviting in the frosty air. I would be climbing them the following day. Heading past the Inn which looked like a cosy place to stay, I walked down the icy lane where I came across this signpost which I remember seeing in one of Wainwright’s sketches. Not a particularly helpful sign if you approached it in a vehicle. 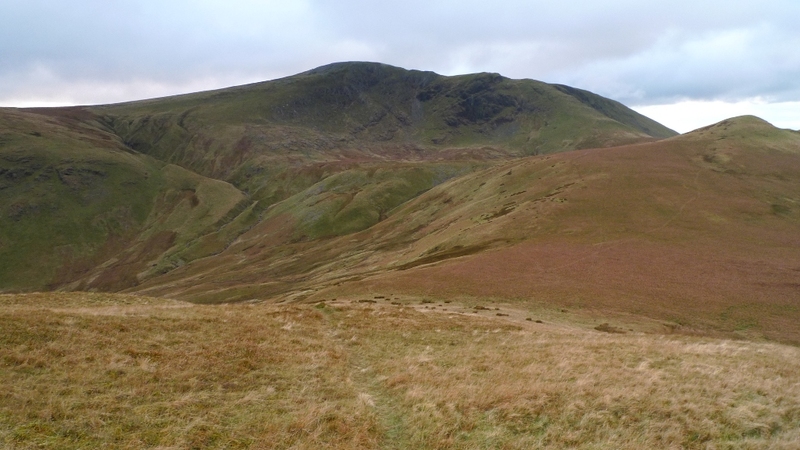 The walled track from Kirkgate farm was in deep shadow from the towering bulk of Mellbreak, my first summit of the day. Across the valley Grassmoor was lit up by the low winter sun. 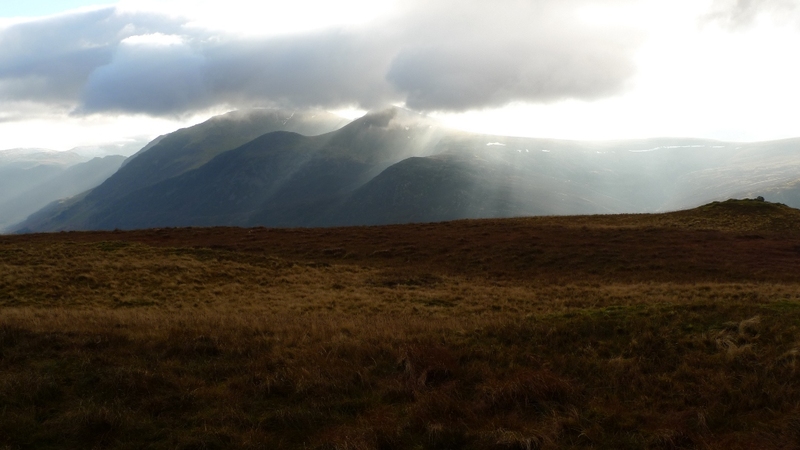 However there was already cloud bubbling up on its surrounding fells which ended up persisting all day whilst other fells were bathed in sunshine. 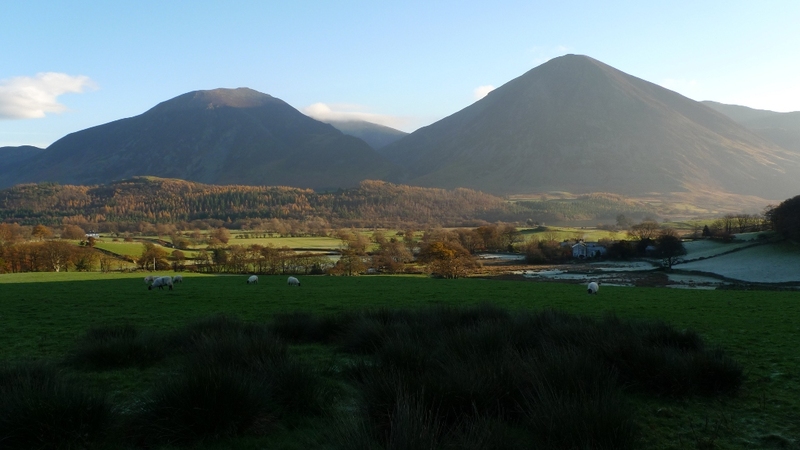 Easy grassy slopes led to the foot of Mellbreak and once again my eyes were drawn to the Loweswater fells. 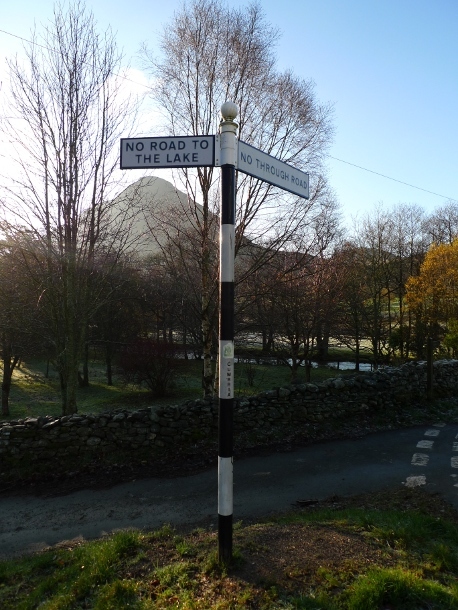 Although low and rounded they looked inviting in the sunshine, the sort of hills that are perfect for long easy walks. 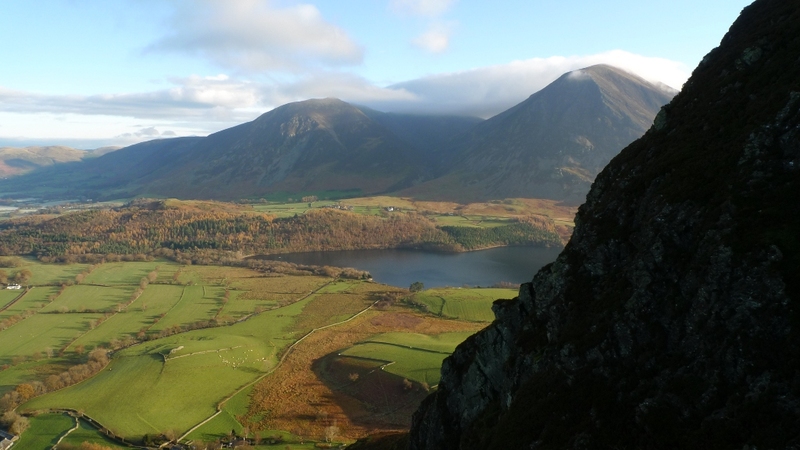 Mellbreak from the north however is a very different proposition, a true mountain in stature if not height. The easy grassy slopes soon gave way to a very steep climb up a narrow scree path. 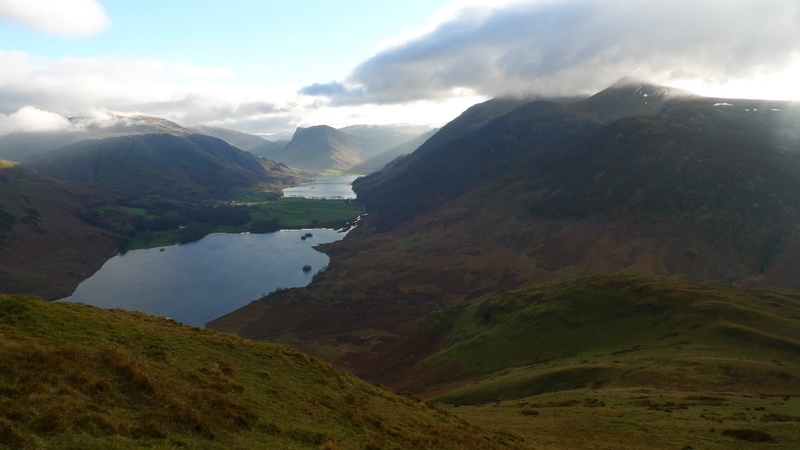 However this meant that height was quickly gained with Crummock water now coming into view. 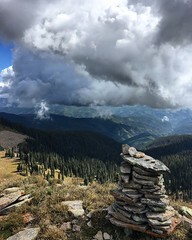 The climb soon came to an end and I sat at the summit cairn taking in the fine views in all directions. 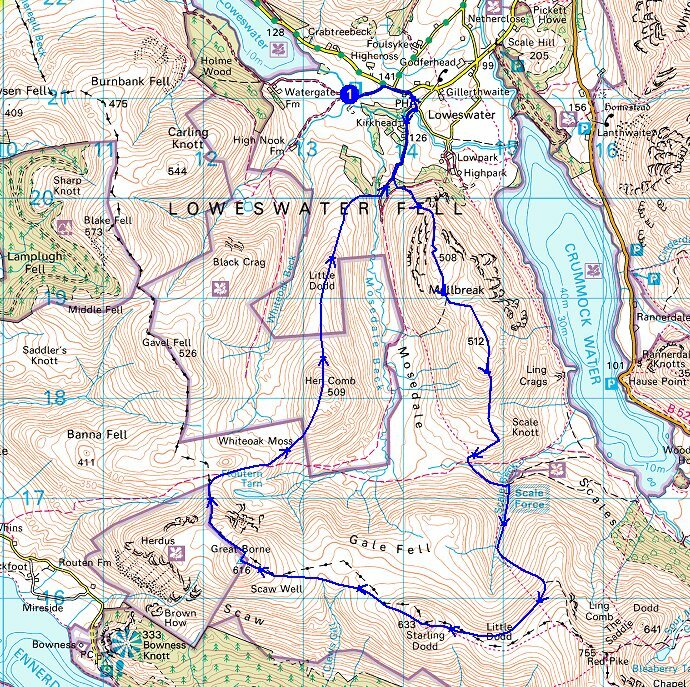 A fell runner who only minutes ago I had seen on the lower part of the climb soon caught me up and we had a quick chat before he sped away. 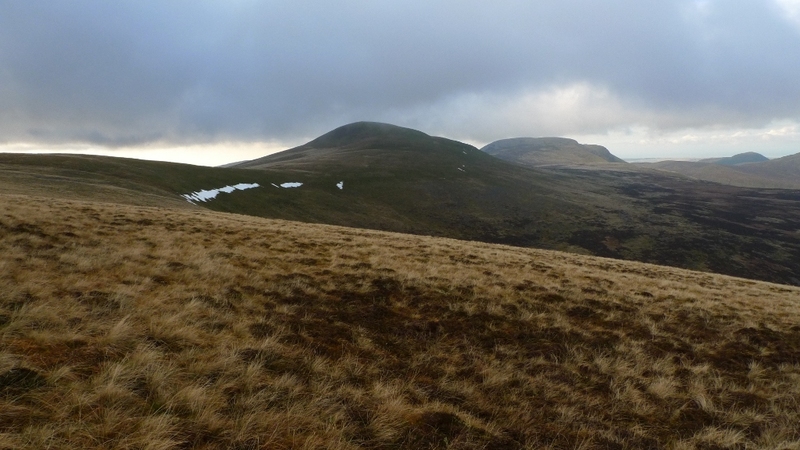 Mellbreak forms a broad summit plateau between the north and south tops, boggy and rough in parts. However the views to the south were amazing with a combination of cloud and low light putting on a spectacular display over Red Pike and High Stile. I find that the hills are much more atmospheric in these sort of conditions and it can make them feel much wilder than they are. Approaching the south summit there was a familiar silhouette against the bright sky. 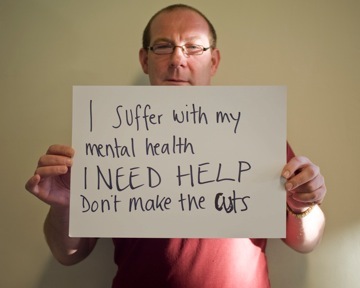 I have been reading Martins blog for a couple of years now and there are many photos of him standing with his back to the camera, framed against a mountain backdrop. I knew that he was going to be in the Lakes at some point over the weekend, so I asked, “Are you martin?”. It turned out that I was correct and we stood chatting whilst taking photos of the cloud and light display over the surrounding hills. Martin had spent the night before camped high on Great Borne, my destination for the day. A quick look through the photos on his camera showed that he had been treated to a spectacular sunset. There are some fine photos on his blog from his trip which are well worth checking out. They can be found on his post here. We were both heading towards Scale force, so we walked and chatted for a while. We are both doing the TGO Challenge next year so we talked routes and gear. 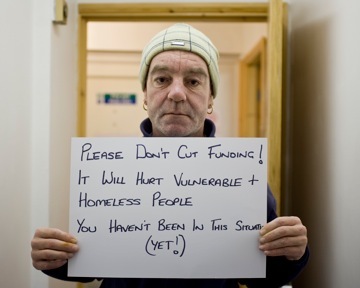 As we both work with homeless and vulnerable people the impending cuts were also on the agenda. As usual I am not on my feet very long without slipping over, my Salomon fastpackers not providing a very good grip on wet mud. I was soon on my backside sitting in a puddle, something that I was to regret later on in the day! I really must get some footwear with a decent grip for when it is wet and slippery. At the waterfall we parted company, Martin heading back to Buttermere whilst I planned to climb back up onto the fells. Hopefully we will get together for a backpack in the new year, training for the impending Challenge in May. I headed up the pitched path on the eastern side of Scale force, the path at times getting fairly close to some precipitous drops into the narrow river below. A slip would be pretty serious and I suddenly realised that I had not texted my route for the day to my partner. I climbed taking extra care on the wet slippery rocks. The path soon climbed steeply towards Lincombe edge which I followed, planning to climb above the rough heather before heading for Little Dodd. 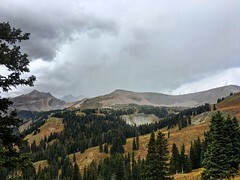 Cloud was now beginning to form on the higher slopes and I watched Great Borne disappear into the mist, the air grew colder and damper. I thought about putting on my waterproof trousers before I realised that they were sitting in the van. I cursed myself, moving quickly with a very wet and cold backside! 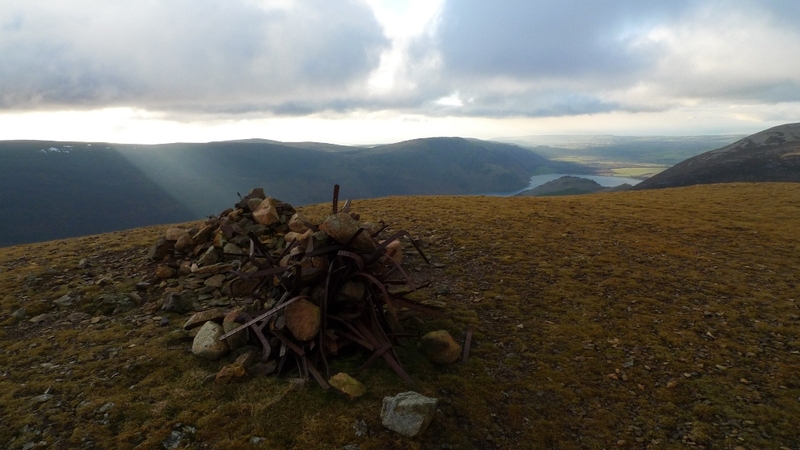 Starling Dodd has an interesting summit cairn, a repository for old rusting metal fence posts. 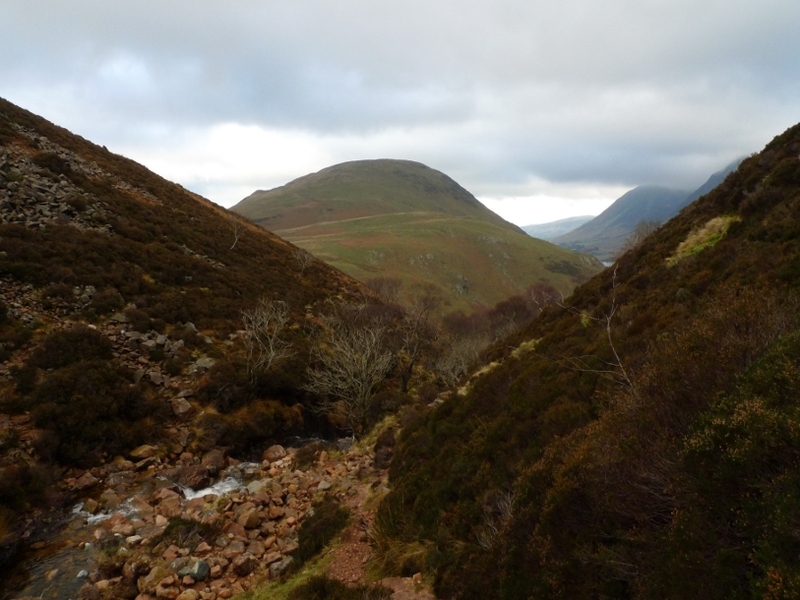 Ennerdale now came into view, shafts of sunshine lighting up the dark slopes on the other side of the valley. 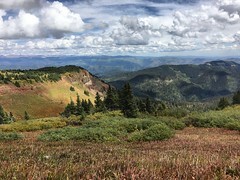 The keen wind meant that I did not hang around for very long and I set off up to the rocky top of Great Borne, the soon to be setting sun lighting up the underside of the clouds skimming the summits. For the next half hour I had a very odd encounter which got my pulse rasing a little bit. I have read that the area surrounding this hill and Floutern tarn is notorious for a rather angry farmer who races around on his quad bike abusing hill walkers. There was a guy just over the brow of the hill on a quad bike racing up and down swearing his head off, now either his dog was called F**k or he had some form of Tourette’s. He was screaming at the top of his voice, “Come here, come here, come on, come on, f**k, f**k, f**k, f**k,f**k”. 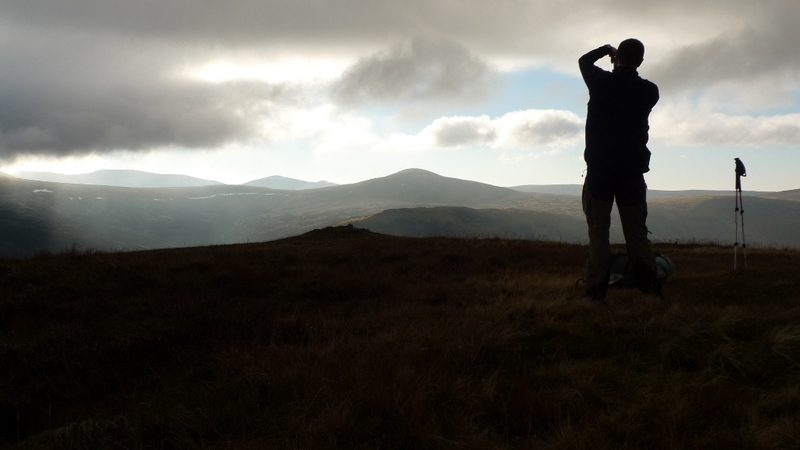 I moved on sharpish down the steep slopes of Steel Brow and across bog to the bridleway. A thin path branches off and crosses the edge of Whiteoak Moss heading towards a fence on Hen Combe. I stood and watched as two quads came over Floutern cop and was glad to see that they were rounding up some bright blue sheep. One guy on a quad had two dogs and was acting in a manner that looked like the correct procedure for sheep gathering. The other guy was heading off in all sorts of directions swearing at a dog that seemed to have a mind of its own. Eventually he grabbed it, put in on the quad and headed back over Floutern cop. I felt that I could relax now! 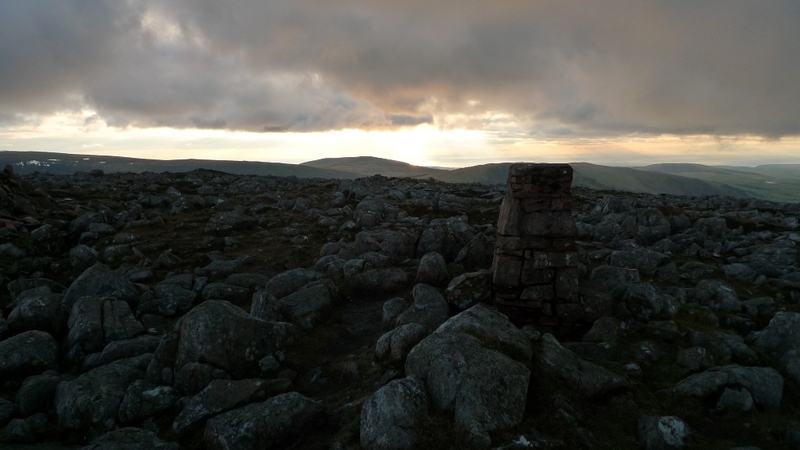 Hen Combe was my final climb of the day and as I reached the summit the last light of the day was fading. 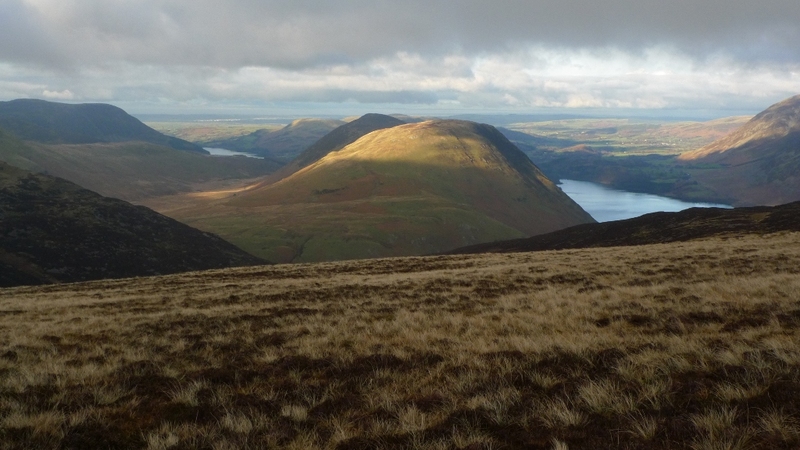 As I walked the long north ridge towards Little Dodd my torch finally had to come on. It was invaluable as I descended into the dark depths of Mosedale beck and crossed the unbridged river. Please bear with me whilst I veer off my usual outdoor course. 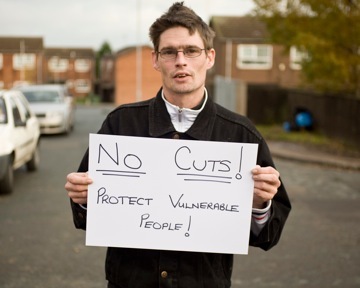 During November my work colleagues and I have been out and about in Nottinghamshire County helping service users lobby their local councillors. 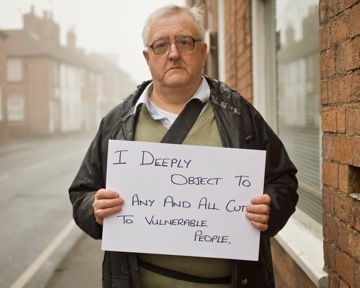 Nottinghamshire County council have decided to buck the national trend and are proposing to cut the supporting people budget by up to 67%, this is on top of the 20% cuts already set for the next four years. 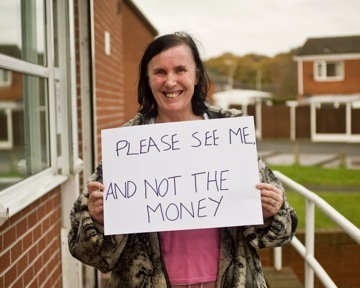 This will affect the most vulnerable people in the county. 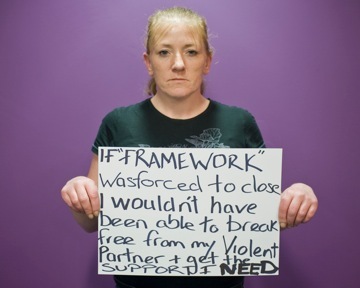 As part of this lobbying we have been taking photographs of people who access various services holding up a message they would like to convey to those who make the decisions. 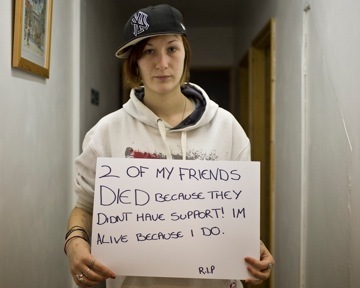 This hopefully puts a human face to those who will be affected. Here are a few of the photos that we have taken, the full set can be viewed here.